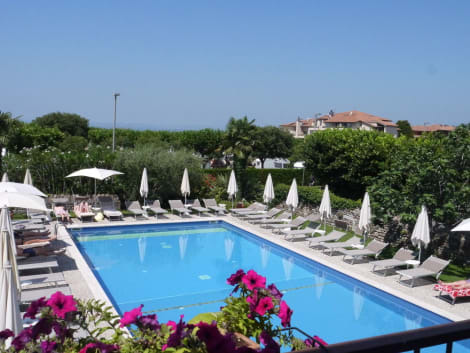 Located in Bardolino, Hotel Ventaglio is within a 15-minute drive of Gardaland and Canevaworld - Aqua Paradise. 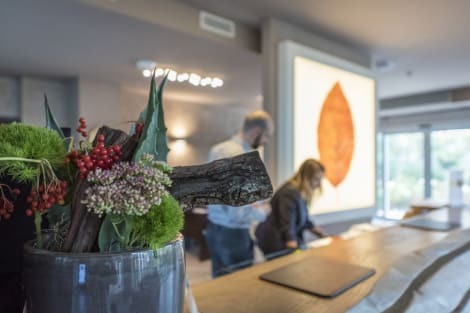 This hotel is 4.3 mi (6.9 km) from Movieland and 4.8 mi (7.8 km) from Villa Dei Cedri. Make yourself at home in one of the 34 air-conditioned rooms featuring flat-screen televisions. Complimentary wireless Internet access keeps you connected, and satellite programming is available for your entertainment. Bathrooms have showers and complimentary toiletries. Conveniences include phones and safes. Take advantage of recreational opportunities offered, including outdoor tennis courts, an outdoor pool, and bicycles to rent. Pamper yourself with a visit to the spa, which offers massages, body treatments, and facials. You can soak up the sun at the private beach or enjoy other recreational amenities including a health club and an outdoor pool. Additional amenities at this hotel include complimentary wireless Internet access, concierge services, and shopping on site. With a stay at Hotel Campagnola in Bardolino, you'll be within a 10-minute drive of Canevaworld - Aqua Paradise and Movieland. This hotel is 6.3 mi (10.2 km) from Gardaland and 5.1 mi (8.3 km) from Villa Dei Cedri. Pamper yourself with a visit to the spa, which offers massages, body treatments, and facials. You're sure to appreciate the recreational amenities, which include 2 outdoor swimming pools, a health club, and a sauna. Additional features at this hotel include complimentary wireless Internet access, concierge services, and shopping on site. Enjoy Italian cuisine at Italian Taste, one of the hotel's 2 restaurants, or stay in and take advantage of the room service (during limited hours). Unwind at the end of the day with a drink at the bar/lounge or the poolside bar. A complimentary buffet breakfast is served daily from 7 AM to 10:30 AM. Bardolino is a charming resort town located on the eastern shore of Lake Garda in northern Italy. Throughout its history it has been a destination for people looking for a relaxing break from everyday life. As you stare out over the magnificent Garda, with a glass of Bardolino red wine in your hand, it's not hard to see why. Lake Garda is considered one of the finest among the famous lakes of northern Italy. Pick up some cured meats and local cheese, rent a speedboat from Garda Charter and explore the lake in your own time. If you want a more exhilarating trip round the water, they also have jet skis and dinghies for hire. There's a leisurely time to be had on dry land as well. A Lakeside Path connects all of the picturesque towns on Garda's south-eastern side and it is perfect for an afternoon stroll. From Bardolino hotels, at a leisurely pace you can reach the town of Lazise in about an hour. Cisano, a lovely hamlet about halfway between the two, is a perfect place to stop off en route for some light refreshments. If the kids are getting restless, not too far up the road from Bardolino is one of Europe's biggest theme parks. Gardaland, a water-based theme park, has fun for all the family. The braver among you can experience the pure adrenaline that is Blue Tornado, a 109-foot tall rollercoaster. Or, less scary fun can be had on the Colorado Boat ride or on the many other attractions the park has on offer. Anyone who has been to Italy knows that market day is one of the most important days of the week. All of the towns around Garda have lakeside markets and Bardolino's takes place on a Thursday. The market has a wonderful selection of fresh fish, fruit, veg, clothing and general bric-a-brac. If you're prepared to haggle, you can catch yourself some great bargains. One word of warning: be prepared for wild gesticulation. As with many Italian towns, Bardolino has a number beautiful piazzas and fountains that make for a delightful early evening wander. Once you've worked up an appetite, pop in to Ristorante Biri for some authentic local cuisine. The veal here is incredible and the wine list features many local gems. More sumptuous delights can be found at Piazzetta Mazzini, and Ristorante Don Pedro specialises in seafood caught by local fishermen. The atmosphere is convivial and the food so good that you might consider spending your entire trip here. So delicious, in fact, is the spaghetti vongole with pistachio pesto that people are said to travel from miles around just to sample this dish. 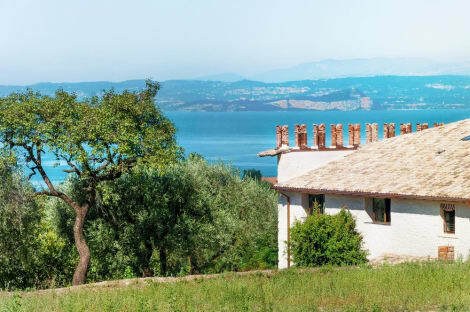 A trip to Bardolino is a truly sensory experience. With an abundance of activities, both outdoor and indoor, it's definitely a place worth visiting.